On Sunday as I was sat with Megan in church, she rolled her eyes, let out a sigh and not very discreetly protested “ugh this is sooooo bawing”! It is moments like this, and how she shouts “cheers man” at drivers as we cross the road, or “I am living the dream” every time she does something remotely joyful, that crack me up and reflect her cheeky character at this age. Yesterday Megan turned 4, a day she has been super excited for for a good few months, and one that was thoroughly enjoyed by us all! This year it was all about Paw patrol, still some frozen, and a desire to have her own baby to look after (thanks Grandma). She requested “dippy eggs and pink milk” for breakfast, which she finished off with some marshmallows and a morning of playing with her gifts. 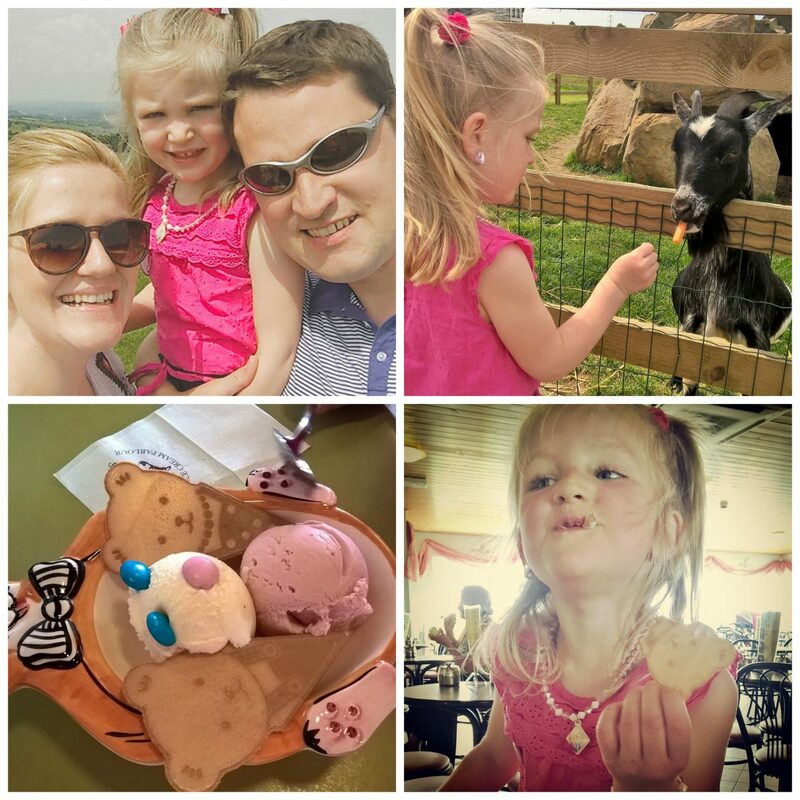 Her day out was a toss up between swimming or a farm, but her desire for treat central led her to wanting to go a fairly local ice cream parlour with play area and animals. 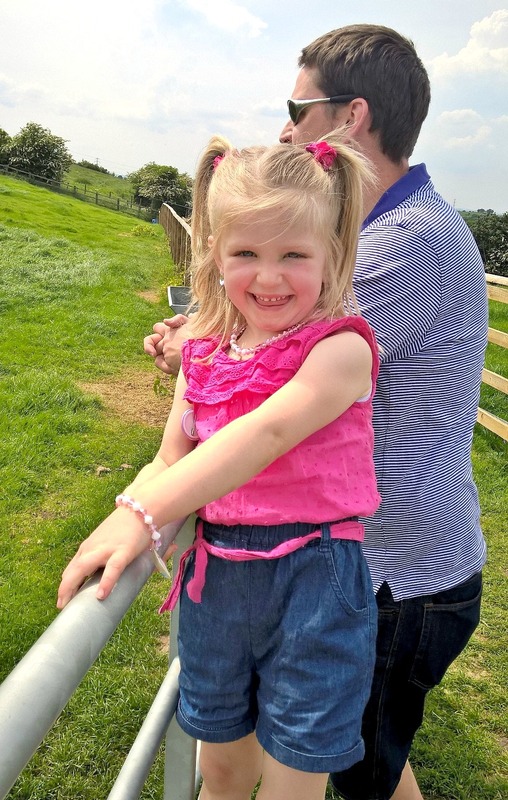 She loved every minute going wild, seeing the animals, indulging in a teddy bear ice cream, “living the dream” and having mummy and daddy’s attention all on her! We then had dinner out with Grandma and a cake to finish up! It was really lovely, simple and as I say, enjoyed by us all. As this year is a party year, she will also be celebrating with friends at the weekend, another exciting prospect and a great hello to being 4 years old! 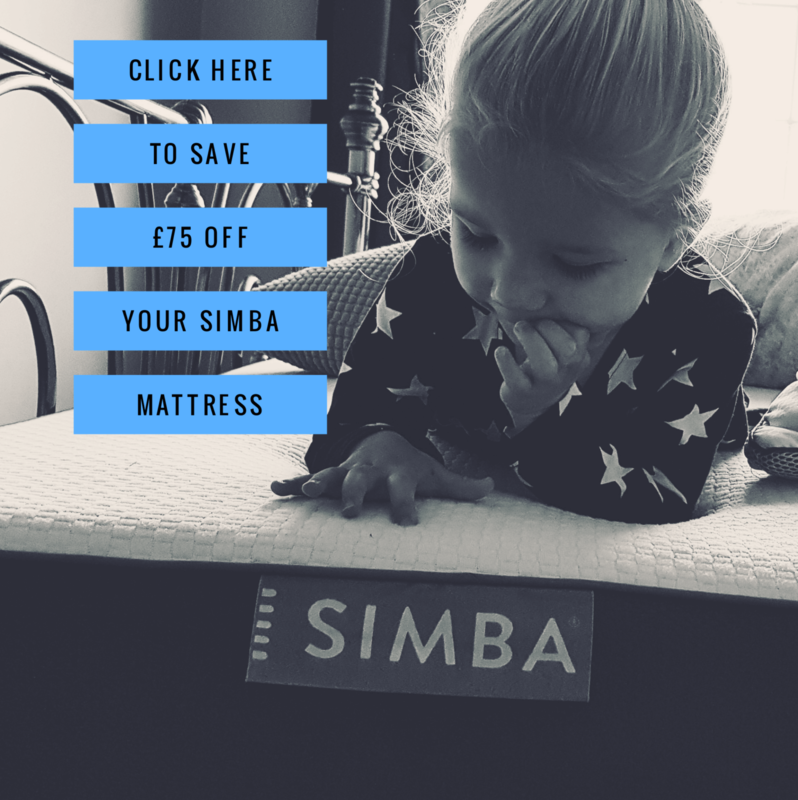 It doesn’t make me particularly sad that she seems so big and grown up these days, and nor do I feel like time is running away that I need to say as in years past; “I can’t believe she’s 4”! I can believe it, and we have enjoyed some wonderful things with her since she entered our lives, that it doesn’t seem to have flown by too fast at all. Her birthday does always make me feel a little emotional yes, but more so because it was on her 2nd birthday that was pregnant with Poppy and she had the excitement of a baby sister. Again this year she has that to look forward to, but it doesn’t stop us missing a family member on these occasions, and I know I am not alone in these thoughts as yesterday over her ice cream she whispered to me out of the blue; “If poppy was here she would be 30” …. and later that night sent her restaurant balloon to heaven “so poppy can have my birthday too”. This is reflective of her kind and thoughtful nature, She has a wonderful innocence about her, enjoys age appropriate things, yet obviously ponders on things more meaningful and has something inside that makes her wish her sister was here too. I love that she is aware of Poppy and desires some bond with her too, but of course it is that aspect that makes me teary on occasions like this. I worried last year as she seemed to be clinging to being a baby, but again I feel, looking back this was how she dealt with everything. We all miss poppy but are not sad that Megan is growing up, because 4 seems perfect for her and I feel she is ready to be heading to school later this year and doing all she is at this age. I want to remember not just how thoughtful, caring and kind she is, but how funny she is at 4 too; how great she is at telling elaborate tales and easily gets adults believing her (which just feeds them)! How she is very stubborn, great at being moody when things don’t go her way and how everything is everyone elses fault and never hers! How she is never without a graze, bruise or since this weekend and smacking into a wall from a rope ladder, a black eye, because she craves adventure and is WILD! Injuries or other people do not stop her, she bounces back and gets on with life. 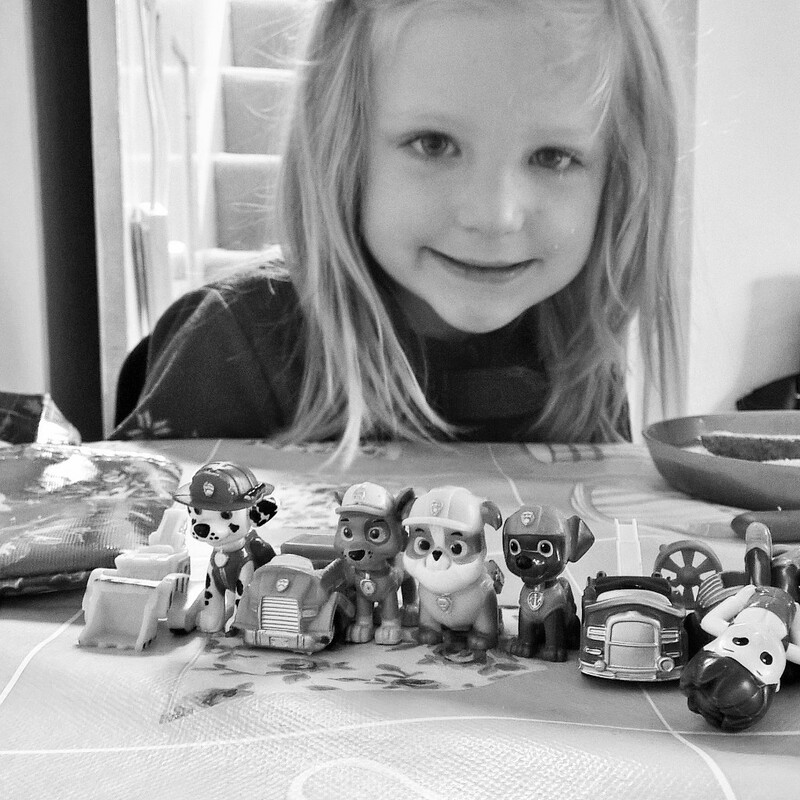 I want to remember at 4 Megs that you loved Paw patrol, princesses, cheesy pasta (or any pasta for that matter), making things, Scooting and that you adore animals or anything to do with them. That you think by saying “ooo la la” that you are speaking Spanish and that you and Ethan do my head in talking like minions!!! I want remember that I can never figure out if its a tom boy day or girly day and every morning is a negotiation on what you will wear, as such your wardrobe is such a mix of styles, but rather cas with a girly twist! I love that you always know what you are going to be wearing and I love the time we spend together out in it, the adventures we have, hugs and snuggles at any time and with all of this personality I know you will go far because you are determined, bold and kind. You will make friends easily and and have fun in all you do because we see this is who you are. Yes 4 years ago doesn’t seem that long ago at all and I remember your birth-day as clear as anything, but so much has happened and been experienced that it is a wonderful thing that you are now a big 4 and its been great to celebrate that and you!!! Happy 4th Birthday to Miss Megsie! Happy Birthday Megan – such a lovely post. Birthdays are pretty amazing when you are younger aren’t they I love making them special and hope to continue to even when they are Mummys themselves. Living the dream cracks me up – love it!